This week's review line-up is dominated by Sony's new Tablet S - a mighty fine Android 3.0 tablet that really makes a design statement. We've also reviewed the high-end Panasonic TX-P42S30B plasma as well as Wacom's lest tablet. And that's not all - there's plenty of other reviews for you to peruse from the week. As a veritable giant in the consumer tech universe, Sony's landing on Planet Tablet was always going to be interesting. Launching alongside the fold-in-half Tablet P, the Tablet S has a unique wedge-shaped design and top-end specs. 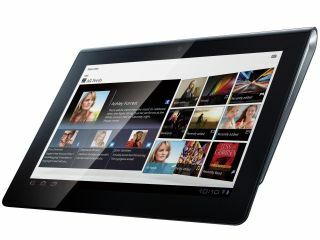 The Sony Tablet S has everything needed to be a fantastic tablet, and a front-runner in the Android race. The form factor makes it a superb buy for people who spend time on the move. If you're choosing an Android tablet you won't be disappointed, but if it's a shoot out between the Sony Tablet S and the iPad 2, unless you're a hardened Sony fan, then your money is still better spent with Apple's tab. Creative's Sound Blaster Recon3D is the world's first quad-core sound processor, which gives it the power to pull off impressive feats such as separate mic audio and in-game sound streams, and apply separate effects – including compression, surround and noise cancelling – to each stream. It's best friends with THX TruStudio, works with PC, Mac, PlayStation 3 and Xbox 360, and sports a 'Scout Mode' button, which amplifies sound cues in-game to highlight nearby enemies. It's a feature-filled, high quality product, and versatile too. The excellent surround effect also makes the Recon3D (with the headset, of course) a good choice for movies. If you buy the bundle with the Tactic3D Omega headset, it's a much more attractive price, too. Unlike most of Panasonic's more high-end plasma TVs this year, we can't quite bring ourselves to give the P42S30 an unqualified recommendation. For while its impressively natural, contrast-favouring pictures are ideally suited to people who love watching films, its lack of brightness and vibrancy could be a turn off for people with very bright rooms or who prefer dynamism and punch to black level depth and motion clarity. Take a punt on the P42S30 though, and it's unlikely that you'll be disappointed. For in a normal environment its pictures display some great characteristics, including an excellent black level response, some natural colours (with HD in particular), a wide viewing angle, and sharp motion handling. You know all the good things about tablets such as the iPad 2 and Samsung Galaxy Tab 10.1? Their beautiful screens, slick touch controls, speedy operations and excellent battery lives? What if you didn't bother with all of those, and made a really, really cheap tablet instead? Well, Binatone is here to answer that particular thought experiment, and you will be shocked – shocked! – to learn that the result is pretty undesirable. Thanks to OS X Lion we're all getting used to the idea of using gestures to do things on the Mac, but you can quickly hit the limit of what multi-touch can do – especially when you want to paint, draw or customise your photos. And that's where Wacom's Bamboo Fun Pen & Touch comes in.